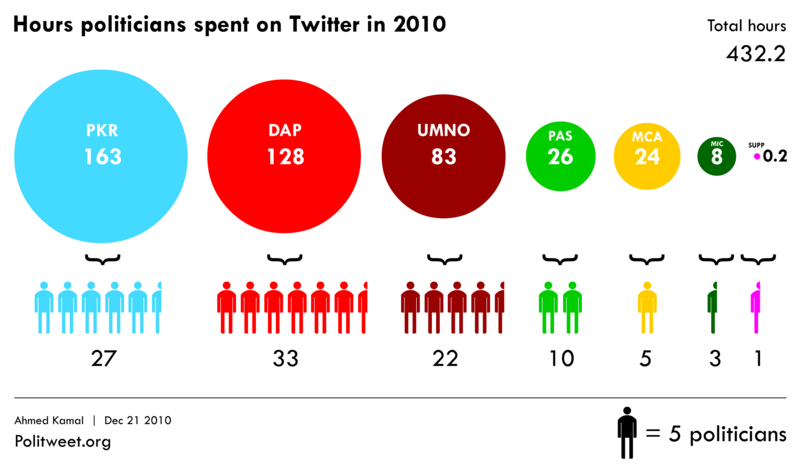 How much time do politicians spend on Twitter? 1. Each tweet takes 15 seconds to write. 2. Majority of tweets are not computer generated (e.g. by a Facebook app). The average time per politician is 4.27 hours. But a detailed look at the data revealed that within each party a minority of politicians write the majority of tweets. This will be shown in a future diagram.